Supreme Floor Sanding - Carpets/Flooring based in Wallington, Surrey. Welcome to SUPREME FLOOR SANDING. 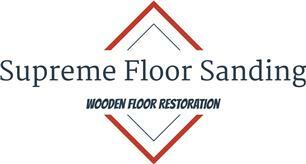 We are a family run wood flooring restoration, installation company based in Wallington Surrey. We have over 18 years’ experience in the flooring industry restoring & installing in both commercial and residential properties. We pride ourselves in offering a quality and professional service whilst ensuring a friendly & personal touch to all of our customers. Wooden floor sanding, restoration, renovation, repairs, concrete hearth removals, gap filling etc. Including every kind of finish, you could want for your wooden floors, including; staining, waxing, varnishing, oiling etc. We use the very latest machinery which helps keep dust to a minimum so we can guarantee an excellent finish with the minimum of fuss. We also install wood floors. No job is too big or small & we are fully insured.